Leah Carrier has just completed BScN at the Dalhousie School of Nursing, and was the recipient of the Governors’ Award. 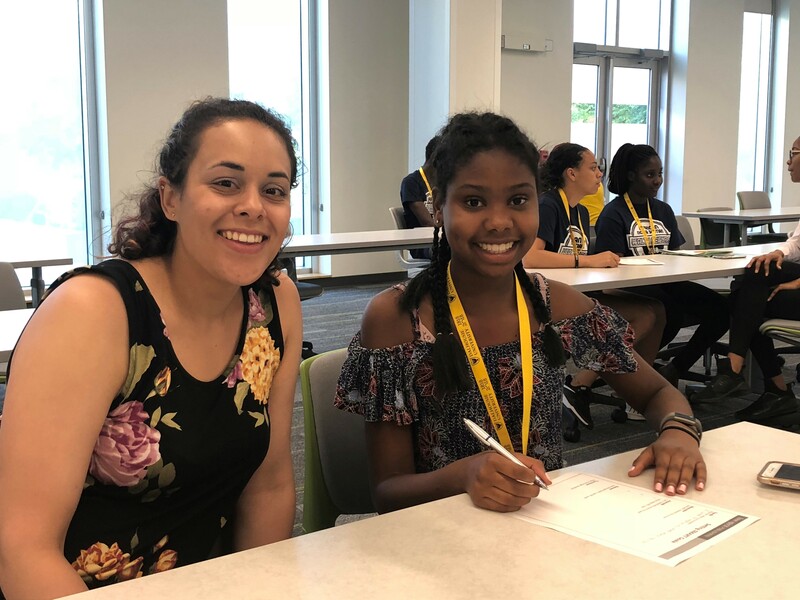 Leah is really excited to be starting her new career as a registered nurse at the Halifax Infirmary as well as starting the MScN program here at Dalhousie in the fall, where she will be working with Marsha Campbell-Yeo at the MOM-LINC Lab at the IWK. Leah will be working on master project that explores the role culture plays in parent-targeted interventions for pediatric pain. She will also be working in a research lab that focuses on Indigenous health and as a registered nurse in orthopedics and general medicine. In October 2017, as part of the Johnson Scholarship Foundation Micro Bursary Program, Leah attended the Canadian Nursing Students’ Association Atlantic Regional Conference in Newfoundland. The Canadian Nursing Students’ Association is the primary professional organization for nursing students in Canada and represents nearly 30,000 students from coast to coast. Every year, the association hosts regional and national conferences to help students be informed about key topics and issues within the profession as well as nursing education and advocacy efforts in healthcare. The 2017 Canadian Nursing Students’ Association Atlantic Regional Conference was held in Corner Brook, Newfoundland from October 19-21, 2017. The theme of this conference was “A Discussion on Mental Health: Silencing the Stigma in the Classroom, Workplace, and Community”. Presentation topics and workshops included topics such as crisis intervention, Indigenous peoples’ mental health, harm reduction, addictions, and the stigma of mental health among health care professionals. I was invited to attend this conference as a speaker and presented about the importance of self-care for students and student leaders along with the project co-lead, Jaimie Carrier, from the MScN program. This initiative, called “Secure Your Own Life Mask”, has recently received funding to conduct a multimedia campaign about self-care and mental health for nursing students. I also had the opportunity to present on a panel discussion about students’ lived experiences with mental health. Mental health services are in high demand and nurses need to be able to meet the mental health needs of their patients and communities, regardless of their area of practice. This conference allowed nursing students to develop knowledge and practical skills to bring forward into their future practice, such as how to intervene in crisis scenarios and how to locate information about community-based mental health services throughout the Atlantic region. Personally, this learning experience has allowed me to bring back valuable knowledge to help improve the experiences of diverse students on campus. Specifically, I will be using knowledge gained in this role to pass along information to students in my capacity the Vice President of Equity and Inclusion on our Nursing Society. This role is to increase representation from diverse and minority communities within the School of Nursing as well as ensure that all student-run events are culturally safe and accessible to minority students. By learning more about mental health and how it affects diverse individuals, I can strive to share knowledge from the conference and further develop connections with other groups on campus to achieve our mutual goals of making Dalhousie more inclusive. I am truly grateful to the Johnson Scholarship Foundation and the Global Health Office for making it possible to attend this important event so that I could expand my research and clinical interests and learn practical skills for my future career. To learn more about our Diversity programs please visit our website. Adrianna has just completed her first year of the Diagnostic Medical Ultrasound program and is the new student advisor to Sonography Canada’s board of directors. During the PLANS African Nova Scotian Health Science Summer Camp (July 8-13, 2018), Adrianna was one of 18 current postsecondary and recent graduates that participated in a facilitated mentor session with the campers. Adrianna shared her experiences and helped Malyana Gero (from Amherst, NS) develop goals for her own journey. In May 2018 Adrianna attended the Sonography Canada Conference in St. John’s, Newfoundland; here are her thoughts. I had not envisioned the vast amount of experience I would gain when I set out to attend the Sonography Canada Conference in St. John’s, Newfoundland. This conference is the 36th annual conference held by Sonography Canada, the credentialing organization for sonographers. For those of you that don’t know, a Sonographer is a health professional specialized in the use of ultrasound technology to perform diagnostic exams. The conference is a major event in the Canadian sonography community for professional development and networking. At the Conference I met with potential employers, learnt about scanning techniques, met ultrasound technology companies, networked with sonographers and attended informative lectures on pathologies. At the event, I received the amazing news that I am the new student advisor for the Sonography Canada’s board of directors. At the conference I was able to meet all the board members as well as the previous student advisor. The previous student advisor was amazing at informing me of my new role on the board of directors. I was able to network and gain knowledge to prepare for my major role as the representative of all student sonographers across Canada. As student advisor I look forward to bringing diversity to the board and profession. Not only was this conference a major asset to advance my career, but I was able to enjoy the wonderful city of St. John’s. The Johnson Scholarship Foundation Bursary made it possible for me to attend this amazing conference. 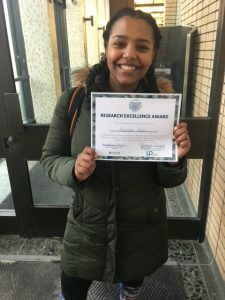 The Annual Crossroads Interdisciplinary Health Research Conference is a national student-led health and wellness research conference that was held March 9th and 10th, 2018 in Halifax, Nova Scotia. Crossroads is an adjudicated, peer-reviewed event for student researchers at all levels. 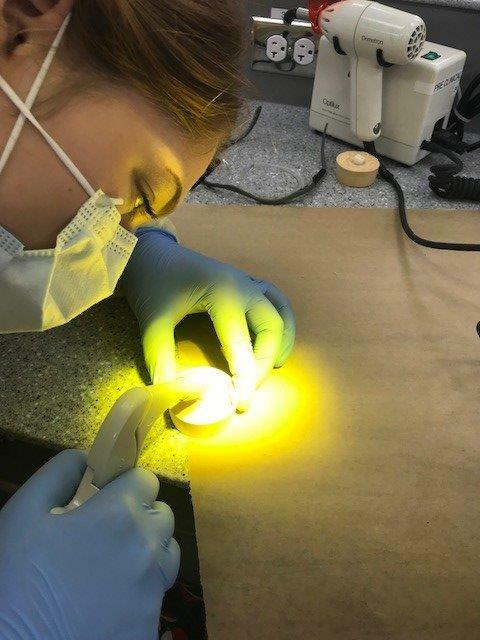 It provides students from all disciplines with the opportunity to present their health-related research in a supportive and interdisciplinary environment. 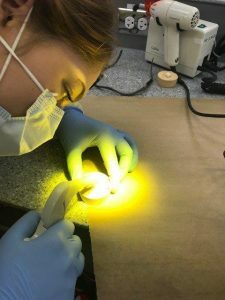 Student researchers are provided the platform to showcase their research, engage in dialogue and participate in interdisciplinary learning and collaboration with other students, faculty, and experts. What my research was about? At crossroads, I gave an oral presentation of a small integrative review that I conducted on the importance of mentoring for black students in nursing. Students of African descent in the university setting have different lived experiences than their European descent counterparts and encounter factors during their undergraduate that impede their success. These barriers include, inadequate academic preparation, financial problems, poor social adjustment and engagement, isolation, a lack of faculty and institutional support, and underrepresentation. The preliminary findings from this integrative review concluded that mentoring programs are useful ways to support students as they enter postsecondary education. 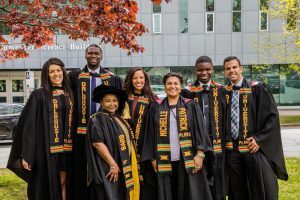 For black students specifically, the mentoring relationship can provide academic, social, and career guidance that is invaluable during the undergraduate years. 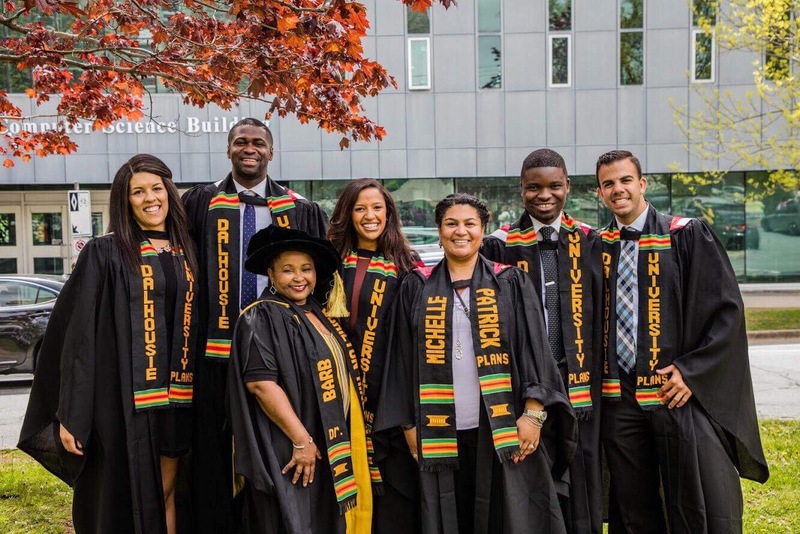 Increasing recruitment and improving retention and graduation rates of black nursing students through mentorship programs, not only will it assist in diversifying undergraduate nursing programs and the workforce, it will lead to reduced health care disparities in underserved populations. Kalkidan has just completed the third year of her nursing program. While her school work keeps her very busy she is always eager to explore new opportunities for learning outside the classroom. Kalkidan worked in the global health office as an outreach assistant in 2016 and she is currently a Queen Elizabeth Scholar with PASADA (Pastoral Activities and Services for People with AIDS Dar es Salaam Archdiocese), an HIV/AIDS service based in Dar es Salaam, Tanzania. until August. We look forward to future blog posts from her! 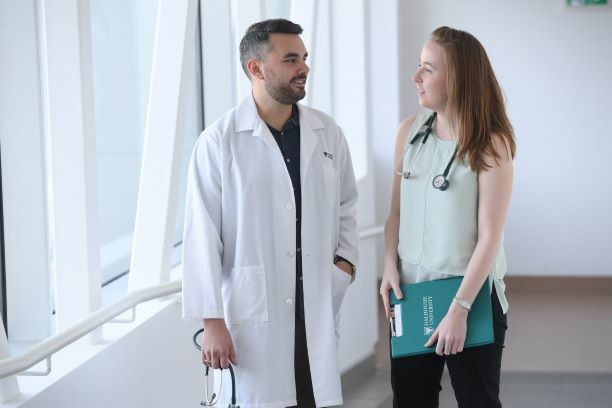 Dalhousie University’s Indigenous Health Program works with school boards and organizations (including the Johnson Scholarship Foundation) to increase recruitment and retention of Indigenous students into medicine. As part of the program, the first Kitpu Wise camp was offered from March 12-16, 2018 in Halifax, Nova Scotia. 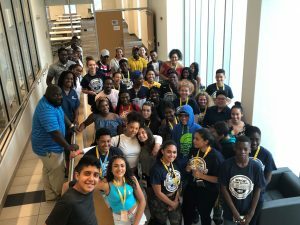 The camp focused on learning about health careers and postsecondary life while meeting new friends and having fun. 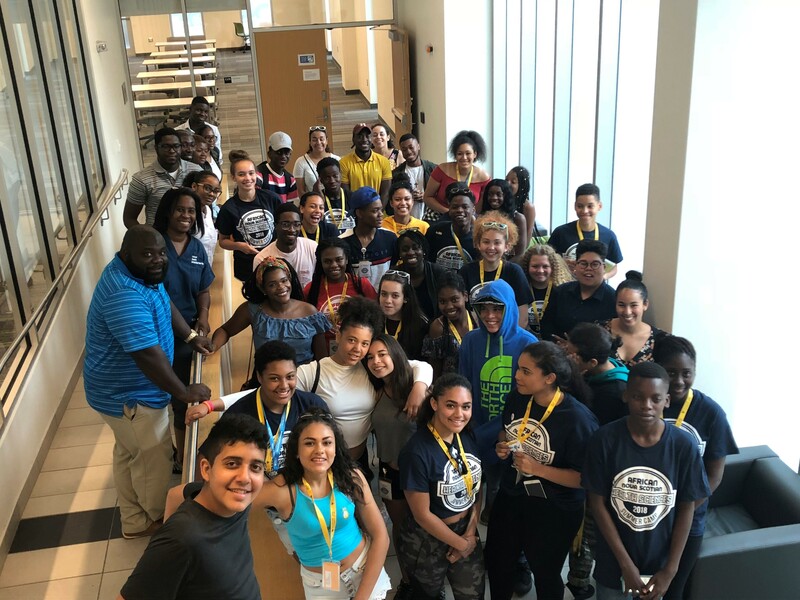 Students (aged 15-18) spent a week on campus receiving hands on exposure to clinical health education programs and cultural experiences. The students also met the incoming Dalhousie University student union president who is the first Indigenous (Mi’kmaq) student to hold this position. In addition, the students presented handmade drums to the Deans of Medicine, Dentistry and Health. In March 2018, I spent a week in Halifax attending the Kitpu Wise camp. It was one of the most influential and fun encounters that I have had the pleasure of experiencing as a high school student. I met a wonderful group of students and faculty, participated in intriguing activities, and learned amazing things. Throughout the week, we did activities that taught us more about our Indigenous heritage, as well as aspects of the medical field. We made drums, shadowed a dentist during a real appointment with a patient, filled a cavity on false teeth in the dental simulation lab, as well as completed a certified first aid course. My personal favourite activity was shadowing a last year dental student. I observed the interactions between a physician and patient, as well as viewed the techniques used to solve the issue. It was a different and fascinating view into what a job in the medical field would look like. The information I have taken away from attending Kitpu Wise are resources and facts that I will forever hold onto. I cannot thank the brilliant people who put this program together for the knowledge and opportunities they have gifted me. Kayla is a grade 12 student who participated in the Kitpu Wise camp in Halifax during her March break. She will be joining Dalhousie University in September 2018. For more information on these programs please visit our Indigenous Health webpage. Fourth-year Dalhousie Medical students, Allan Kember, Madeleine Böhrer and Kirsten Kukula, recently returned from a remarkable experience in Ghana, West Africa. The three students chose to do a global health education experience, which landed them at the Korle-Bu Teaching Hospital (KBTH) in Accra, Ghana. Accra is located on the Atlantic Coast of West Africa and is home to an urban population of approximately 2.3 million. The KBTH is the third largest hospital in Africa and is associated with the University of Ghana. Under the supervision of Dr. Jerry Coleman, a Consultant Obstetrician-Gynaecologist at KBTH, the three students spent 3-5 weeks in the Obstetrics and Gynaecology Department. The students were immediately amazed by the size of the hospital, with the Obstetrics and Gynecology Department having over 350 beds in total. Likewise, the Department provides care for thousands of patients, with roughly 12,000 deliveries each year – almost double the volume of deliveries at the IWK Health Center in Halifax. 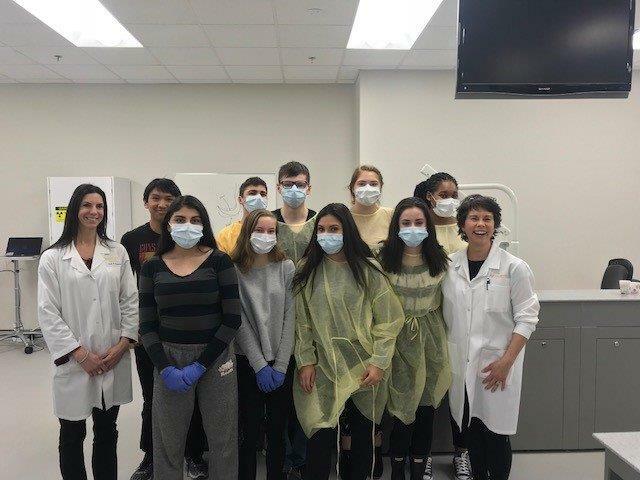 The students spent their time observing, examining, and learning from the staff and medical residents at KBTH. They returned to Canada with an enhanced understanding and appreciation of OBS/GYNE and the delivery of medical care in a healthcare system different from their own. During this clinical elective, the students learned alongside medical students from Ghana and various countries around the world. In comparison to what they were accustomed to, Allan, Madeleine, and Kirsten observed the provision of care with a higher volume of obstetrical complications and emergencies, alongside less resources to manage them. They emphasized the seemingly profound and routine ability of staff to apply clinical experience and skills to carefully select or avoid further tests and imaging. This was all the while optimizing quality of care and being acutely cognizant of the competing factors for limited resources. In addition, the staff work collaboratively to enhance patient wellbeing and safety while maintaining efficiency. This was evident through the expanded roles of midwives, nurses, and other health professionals at KBTH in the delivery of obstetric care and was tremendously inspiring for the students. Furthermore, Allan, Madeleine and Kirsten commented on the sense of community at KTBH between families, patients, staff, and healthcare providers. Providers, families, and friends are considerate of the healthcare related costs that patients may face and will ensure that the appropriate care is provided even if that means helping the patient to pay these costs. Additionally, family members are usually present supporting their loved ones and they are an integral part of the patients’ care, which is similar to Canada. During their time at KBTH, the students witnessed the medical community come together to develop a solution to increase blood donations to the blood bank. Within two weeks, the department organized a blood donation site in the Obstetric Outpatients Department where family members of patients can donate blood while accompanying their loved one to their antenatal care appointment. All three students were impressed by the KBTH’s adaptability and capacity, as a community, to quickly develop and implement solutions to pressing issues. 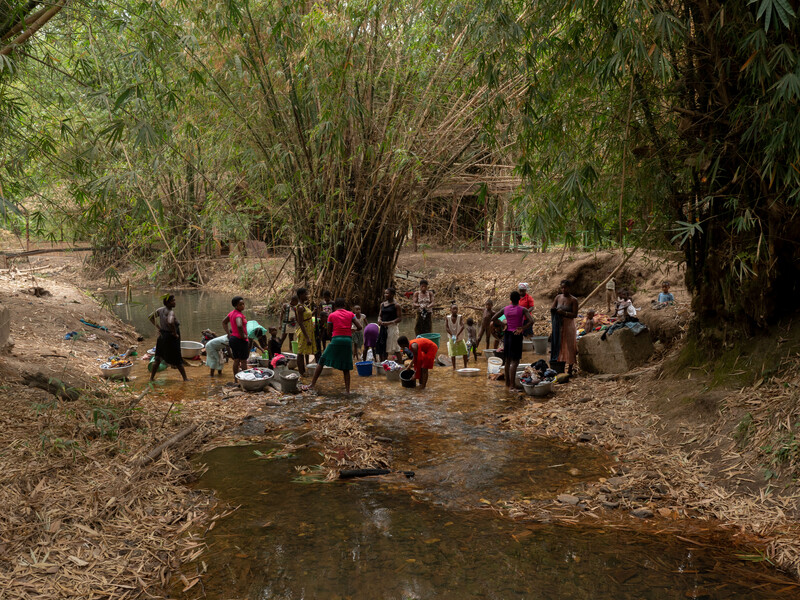 Outside of the hospital, the students had the opportunity to explore another part of Ghana. 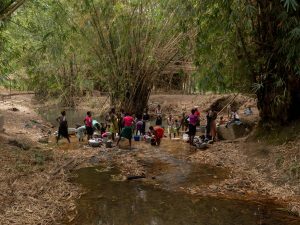 One weekend, they travelled to Wli falls in a public minibus/taxi known as a Tro Tro, a common form of transportation in Ghana. The Wli falls are the highest waterfalls in Ghana and the second highest in West Africa, measuring approximately 143 meters. 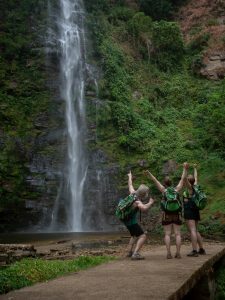 Accompanied by a local guide, they hiked to the Upper Wli Falls. They spent the weekend at a wilderness lodge enjoying the local food, beautiful nature, and the peacefulness outside of the hustle and bustle of Accra. 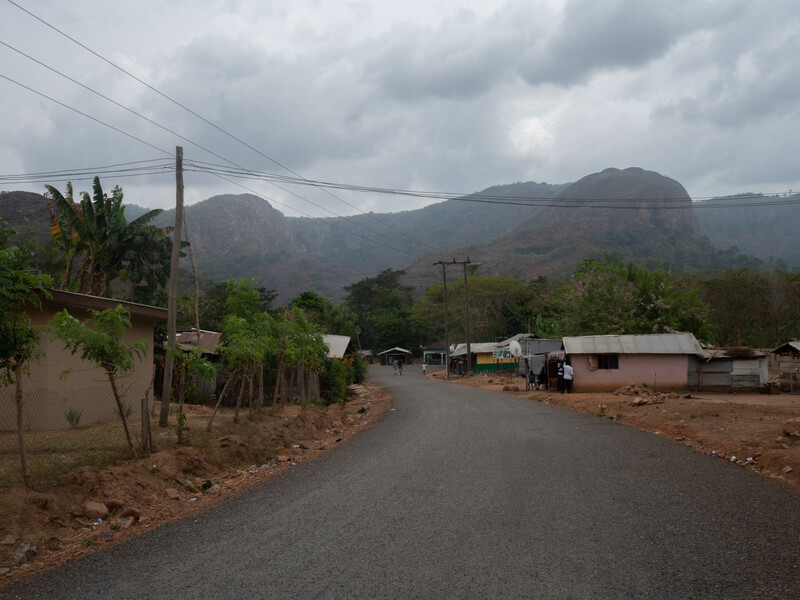 Experiencing the Volta region of Ghana was well worth the ten-hour journey there and back. 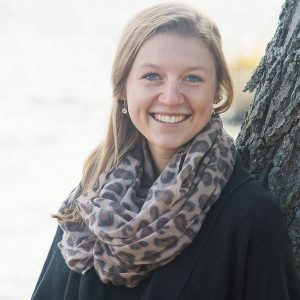 In describing how this experience relates to their current studies and their future as clinicians, Madeleine expressed her continued desire to be involved in global health. 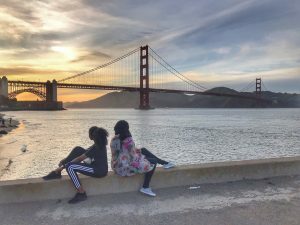 She wanted to further her understanding of how cultural factors can influence medical care and she will use this as she moves forward into her residency in Pediatrics. Likewise, Kirsten has an interest in providing care in rural and remote communities, and was eager to learn more about provision of quality care with limited resources. She was reminded that we are often too focused on the resources we do not have, instead of recognizing the clinical skills and knowledge we possess. She looks forward to using the lessons she learned at KBTH in her Family Medicine residency. Lastly, Allan, who will be completing a residency in Obstetrics and gynecology, agreed that the exposure to a different system of healthcare was invaluable. All three students emphasized the awareness that “global health starts at home”, and they plan to carry the knowledge gained from this experience with them in their future practices as clinicians. 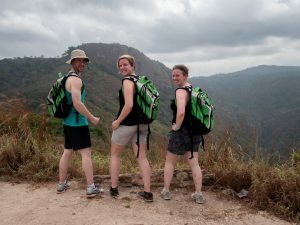 Allan, Kirsten and Madeleine are all very excited about the possibility of returning to Ghana in the future. 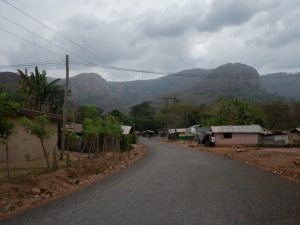 They thoroughly appreciated the educational experience and they already miss the copious and daily fresh fruit and coconuts, the friendly and welcoming people, the beautiful clothing, and the balmy weather. They would like to thank the MD Class of ’72 for the travel bursary that made this experience possible, and to Dr. Heather Scott and the Global Health Office at Dalhousie Medical School for their support from home. Lastly, they would like to thank Dr. Jerry Coleman for his warm hospitality and guidance at KBTH.